When it needs to be done right. Darden Architects has provided comprehensive Architectural, Planning and Interior Design services throughout California since 1959. We are committed to serving our client’s needs through open collaboration and quality design. Staying on the leading-edge of sustainable design, Darden Architects’ work includes the specification of quality, sustainable building materials and the incorporation of energy efficient systems into every project. 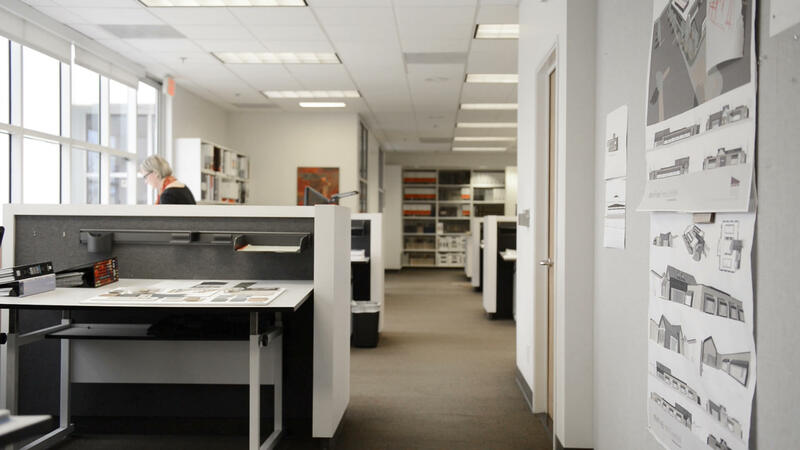 Darden Architects’ Interior Design studio works closely with our architectural teams to help create spaces that are both functional and attractive. Mr. Dodson holds a Bachelor of Science Degree in Architecture from the University of Oregon, and has been with the firm for 34 years. Mr. Nelson holds a Bachelor of Science Degree in Architecture and Construction Management from California State University Fresno, and has been with the firm for 22 years. Mr. Nelson has 25 total years experience in the profession. Mrs. Darnell holds a Bachelor of Science Degree in Industrial Technology (Interior Design) from California State University Fresno, and has been with the firm for 24 years. Mrs. Darnell has 34 total years experience in the profession. Mr. Avila holds a Bachelor of Science Degree in Architecture from California Polytechnic State University San Luis Obispo and has been with the firm for 23 years. Mr. Avila has 25 total years experience in the profession. Mr. Padron holds an Associate’s Degree from the Phoenix Institute of Technology, and has been with the firm for 15 years. Mr. Padron has 30 total years experience in the profession. Mr. Corral holds a Bachelor of Science Degree in Construction Management. Emphasis in Architecture, from California State University, Fresno and has been with the firm for 14 years. Andrew is a Graduate of the Coalition for Adequate School Housing’s School Facility Leadership Academy. Mr. Heiss holds a Bachelor of Architecture from California Polytechnic State University San Luis Obispo and has been with the firm for 7 years. Matt is a Graduate of the Coalition for Adequate School Housing’s School Facility Leadership Academy. Mrs. Rau holds a Bachelor of Arts Degree in Interior Design from California State University Fresno, and has been with the firm for 17 years. Mrs. Rau has 18 total years experience in the profession. Mr. Dietz holds a Bachelor of Science with honors in Architecture from California Polytechnic State University San Luis Obispo and served the firm for 40 years. Marty is now Principal Emeritus with the Firm. Mr. Mendoza holds a Bachelor of Science Degree in Architecture from California Polytechnic State University San Luis Obispo and has been with the firm for 25 years. Mr. Mendoza has 29 total years experience in the profession. Mr. Darden holds a Bachelor of Arts in Architecture from California Polytechnic State University San Luis Obispo and served the firm for 43 years. Mr. Darden has 47 total years experience in the profession. Ed is now Principal Emeritus with the Firm. Mr. Petithomme holds a Bachelor of Science Degree in Architecture from California Polytechnic State University San Luis Obispo and has been with the firm for 22 years. Mr. Petithomme has 37 total years experience in the profession. Mr. Ilic holds a Bachelor of Arts Degree in Graphic Design from California State University Fresno, attended the Art Center in Pasadena and has been with the firm for 14 years. Mr. Ilic has 17 total years experience in the profession.